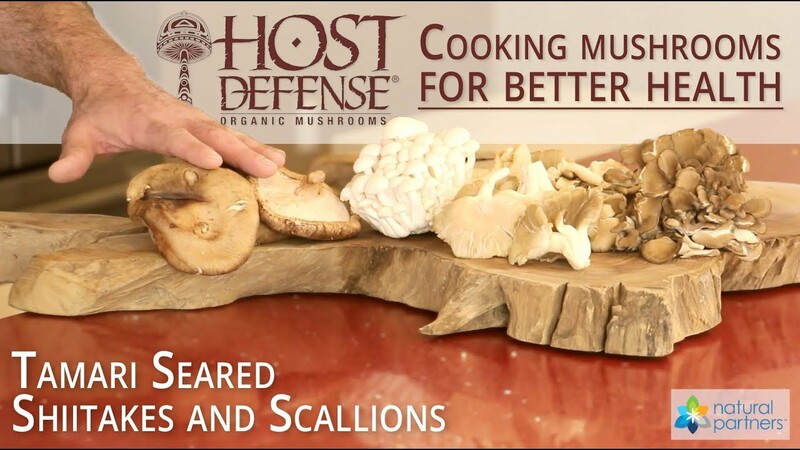 Chef Lauren works with Host Defense representative Jerry Angelini to make an incredible mushroom dish that is easy to make at home in minutes! Lightly dredge the shiitakes in cornstarch and pat or shake off any excess and set aside. In a wok or large pan on medium-high heat, add your oil garlic and ginger. Once the garlic starts to lightly toast, add in the mushrooms. Stir until the mushrooms start to soften and you can no longer see the cornstarch. You may need to add a little more oil if the pan is too dry. Add in the tamari, agave and scallions and stir until the scallions just start to soften. Tamari is pretty salty, so check the seasoning, you may want to add a pinch of sea salt. Serve hot and enjoy!